Drew Navigator II - Clay Leather - A wide, one-piece Velcro strap easily adjusts to any size foot. It’s ideal for anyone with limited hand mobility. 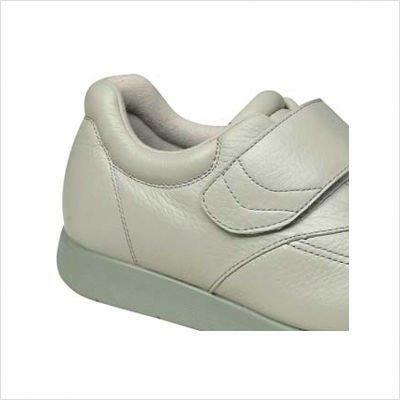 A polyurethane outsole has a rocker bottom that provides more secure walking. Navigator II has double the added depth, with plenty of room for prescribed orthotics. A firm heel counter helps to reduce heel slippage. Padded tongue and collar. Navigator II couldn’t be any easier to wear. 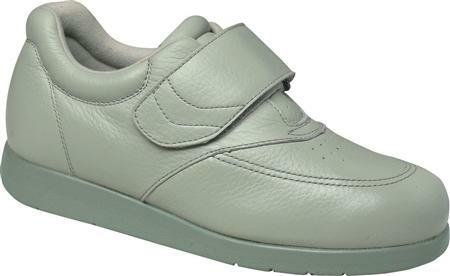 A wide, one-piece Velcro strap easily adjusts to any size foot. It’s ideal for anyone with limited hand mobility. A polyurethane outsole has a rocker bottom that provides more secure walking. Navigator II has double the added depth, with plenty of room for prescribed orthotics. A firm heel counter helps to reduce heel slippage. Padded tongue and collar. Click to see all the Drew Navigator II colors.